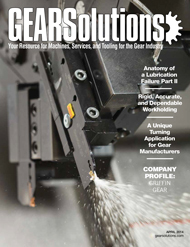 Seeing gear production as a total component solution is a more flexible, integrated approach. 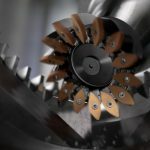 From traditional hobbing machines to modern indexable carbide inserts, much has changed in gear technology over the years. 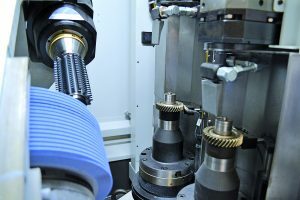 As innovative solutions to previous options emerge on the gear-milling scene, shops now have unique opportunities to achieve major productivity gains. 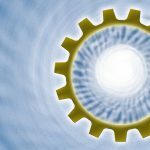 Every gear manufacturer has the same goal in mind; to produce superior gear components in the most economical way. 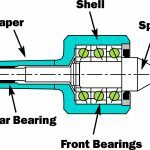 Many times in gear production, only disparate solutions are discussed for shafts, splines, and gear wheels. 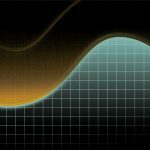 But seeing it as a total component solution is a more flexible, integrated approach to increasing productivity. Like many metal cutting shops, components often go through numerous processes and operations to get to an end result. 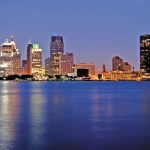 While almost every gear manufacturer also does some type of turning, until now, a turning tool did not exist that can accomplish everything required to prepare steel bar stock into quality gear components. For some shops, prepping the steel blank to prepare for the gear milling process is still a cumbersome, multi-step and multi-tool process. Before the steel bar stock gets to the gear-milling phase, turning must take place to prepare the material. 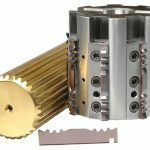 Gear and spline shaft producers have traditionally relied on a combination of tools to accomplish each task and achieve the desired finish. 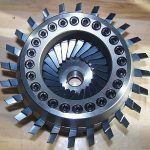 Starting out as a one-piece, blank or forged material, the inherent shape of the gear wheel and shaft complicates the turning process. Not one tool has been available that has the extended reach to successfully turn that section of the component. 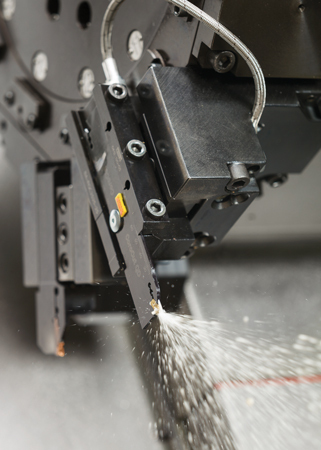 To meet customer needs, CoroCut QD combines strong tools and inserts with rigid clamping and efficient coolant supply. It provides unbeatable process security in terms of good chip control and long reliable tool life and is the key to efficient production. 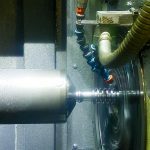 With such versatility and stability, the CoroCut QD system for parting, grooving and turning represents a major departure from previous generations of parting off tools. 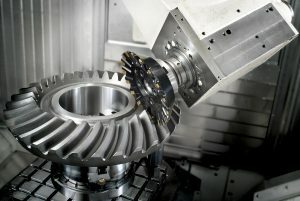 In addition to excellent chip control, it features new geometries and an over/under coolant system, both ideally suited to tackle the unique materials such as forged steel or made from powdered metals that are commonplace in gear manufacturing. At the cutting edge, the cutting forces are high. To withstand this temperature, the tool material has high fatigue resistance and the tool tip seat features a backstop so the insert stays in its position preventing the seat from wearing down when the insert is indexed. Also the inserts themselves are developed with good coating adhesion and high edge-line security, for long tool life in every parting off operation. 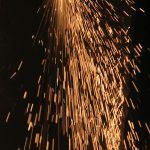 In gear production, it’s common to encounter steel alloys with low sulfur content, which makes the material more difficult to machine. There is a greater tendency for workpiece material to create a built up edge (BUE) that can destroy insert edges and drastically reduce insert life. 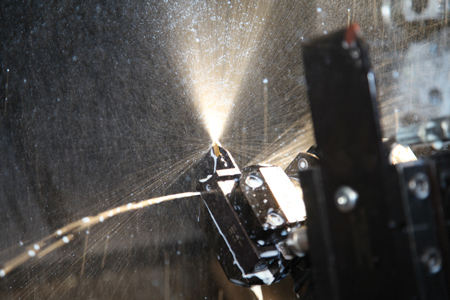 Using CoroCut QD’s over/under coolant through tools, the coolant gets closer to the cutting edge which helps control chips, ensures good surface quality and effectively controls temperature at the cutting zone. CoroCut QD features plug-and-play adaptors for many machines to create easy coolant connections. Sandvik Coromant recently added 100 new CoroCut QD holders in their latest release, all with coolant through technology, adding to the 87 introduced last year. Shanks are available in 1.25”, a standard length shank. Quick Start (QS) shanks, available in 20mm, 25mm and 0.750” and 1.00”, have a short shank length. QS Swiss shanks, in 10mm, 12mm, 16mm and 3/8”, ½”, 5/8” are more typical QS shanks for sliding head machines. Parting off blades sizes 21 and 25 with and without coolant through are available for .079” through .236”-wide inserts, and a new size 45 blade is available for .118, .157, .197, .236” wide inserts. At the cutting edge, the cutting forces are high. To withstand these forces, the tool material has high fatigue resistance. This new material has fewer voids or inclusions, so shanks and blades are less prone to cracking. An added feature of the CoroCut QD is the smart, user-friendly clamping system for indexing inserts. Traditionally, inserts are pressed into the tool pocket which can cause wear. With CoroCut QD, the inserts are changed by lifting the top clamp which does not damage the insert and substantially extends the tool holder life. What makes it user friendly is that an operator can open the clamp with the wrench, and leave it in an open position to load an insert using both hands to speed up the indexing process. CoroCut QD also uses a new generation of edge technology to produce a more consistent and tighter tolerance edge rounding. This high edge line contributes to a long, secure tool life. Using the latest advances in coating, Sanvik Coromant increased the level of coating adhesion strength and achieved more consistent coating thickness over different features of the insert. 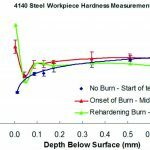 This new coating lasts longer, providing better wear resistance for increased tool life. These features allow operators to use a thinner insert, saving on material while maintaining the stability of the operation. In perfomance tests against competitor products, CoroCut QD won the vast majority of tests with an average tool life increase of 85 percent. This translates into more components produced per insert edge. 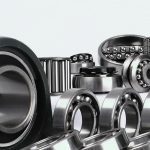 Check out these results and more on the Sandvik Coromant website at www.sandvik.coromant.com. 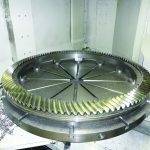 To machine quality gear components in the most economical way, CoroCut QD brings security, predictability and optimized machine utilization to the gear manufacturer’s process. 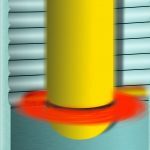 While it seems like an unlikely solution, this flexible parting, grooving and turning tool provides gear producers with one unique tool that allows them to perform most of their necessary turning operations. 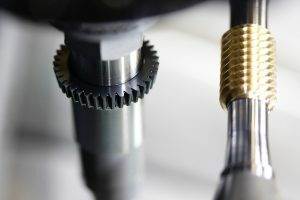 Accompanied by plug-and-play coolant, premium insert grades and insert geometry technology, CoroCut QD is getting the attention of gear manufacturers and turning them into believers. has been with Sandvik Coromant for 27 years. 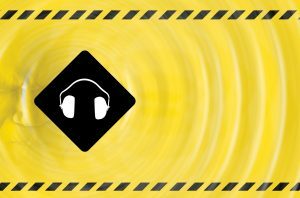 As a product and application specialist, Scott’s responsibilities include parting, grooving and threading. is the manager of business development of Gear Milling Solutions at Sandvik Coromant, Americas. 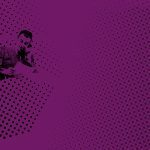 He has 21 years of cutting tool industry experience in sales, application engineering, grade development, key account management, project management, and business development. Prior to that, he has had over 10 years in manufacturing engineering (foundry and diesel engine production). Marsh received his Bachelor of Science in Business Administration and Economics from Missouri Valley College and his Master of Science in Industrial Technology with concentration in automated manufacturing from University of Central Missouri.